Is Car Seat To Blame For Catastrophic Injuries? If a man suffers serious spinal cord injuries in a lawsuit, can the shape of the car seat he was seated in be held responsible for his injuries? That is precisely the question that jurors will be asked to decide in the product liability lawsuit of Michael Insalaca v. Kia Motor Cars Corp. The complaint alleges that Insalaca was the front seat passenger in a 2013 Kia Optima driven by his father. His mother was in the back seat behind him. Another driver swerved into oncoming traffic and hit their car head-on. His mother’s knee was forced into his seat and damaged his spine. He also suffered damage to his ribs during the incident. Plaintiff’s attorneys for Insalaca are alleging negligence and that the Kia knew about the defective seat. The plaintiff is currently partially paralyzed and could have very easily been killed. His attorney is alleging that safer alternatives were available, the plaintiffs knew about the potential dangers involved with the seat, and that the defendants failed to warn the plaintiff or others who purchased the 2013 Kia Optima. In other words, the plaintiff’s injuries were easily avoided and that they denied potential customers the opportunity to purchase a safer vehicle. In a case like this, the attorneys for the plaintiff don’t need to prove negligence. All they need to prove is that the car seat was the primary cause of the plaintiff’s injuries. This is what is known as strict liability. The question then becomes: why do plaintiff’s attorneys bother trying to prove negligence in product liability lawsuits? The reason for this is quite simple. The plaintiff’s attorneys in this lawsuit are going after punitive damages. They are alleging gross negligence and willful misconduct led to the plaintiff’s injuries. In order to prove gross negligence, which would lead to punitive damages, the plaintiff must allege that the defendant knew about the safety hazard and instead of issuing a recall or fixing the problem, chose to simply let the chips fall where they may and payout any lawsuits that might come. In some situations, this is a mere economic decision. The company feels as though it will be cheaper to pay out lawsuits rather than issue a recall or install a safer car seat. Nonetheless, people sustain life-altering permanent issues from that choice like the plaintiff in this case. So while it may be a simple issue of crunching numbers to the car company, someone’s life has been irrevocably altered by their conscious disregard for their safety. It’s much more difficult to prove gross negligence than it is to prove fault in a strict liability case. An attorney prosecuting a strict liability case need only prove that injuries were caused by a product. Then it becomes the defense’s job to prove that the plaintiff’s own negligence caused their injuries. Lawyers for Insalaca will need to prove that Kia knew about the defect and chose to produce these cars with their defective seats anyway. In other words, the burden of proof shifts to the plaintiff. The attorneys at the office of Alan Goldfarb, P.A. 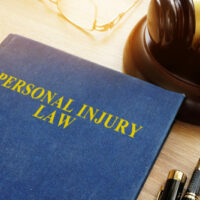 of Miami can help you get fully compensated for your injuries. Give us a call at (305) 371-3111 or contact us online for a free consultation.